I’m regularly taken aback by the beauty that I witness all over Cambodia. However, I am hesitant to write this blog for one reason: I could never fully recount the beauty of the landscape, people, and culture, neither through words nor photographs. Life in Cambodia has been surprisingly humbling and incredibly rewarding, so I hope that I can convey at least a glimmer of my experiences of the country. 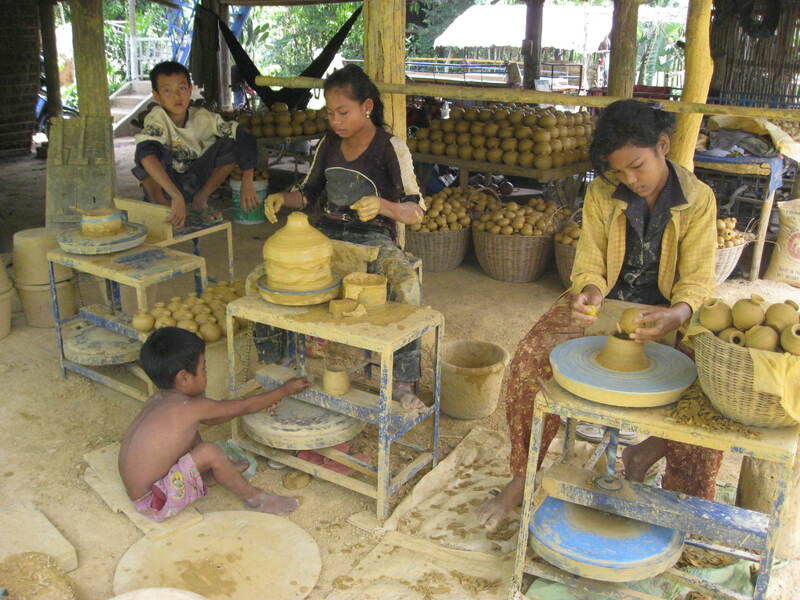 I’ll do my best to highlight a few of the aspects of Cambodian life and culture which I most appreciate. 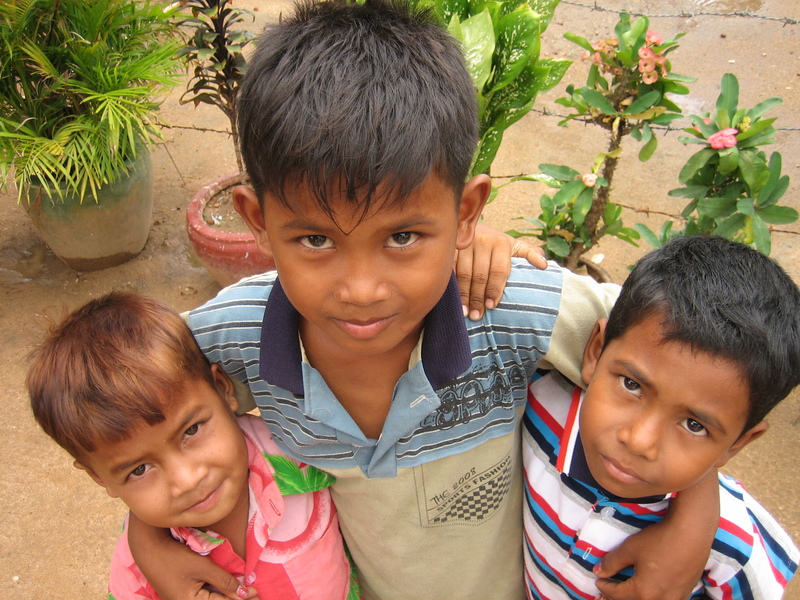 Cultural Persona: Pride, cheer, concord – these elements are pervasive in Cambodian culture. Perhaps it’s a result of the past national turmoil, which forced strangers to band together as family for the purpose of survival. Perhaps it’s because the culture is rooted in Buddhist influence, and therefore traditionally devoid of consumerism, deceitfulness or cynicism. Perhaps I shouldn’t try so hard to explain why, but rather appreciate it for what it is. Three cousins. They stick together, so don't try to mess with them! 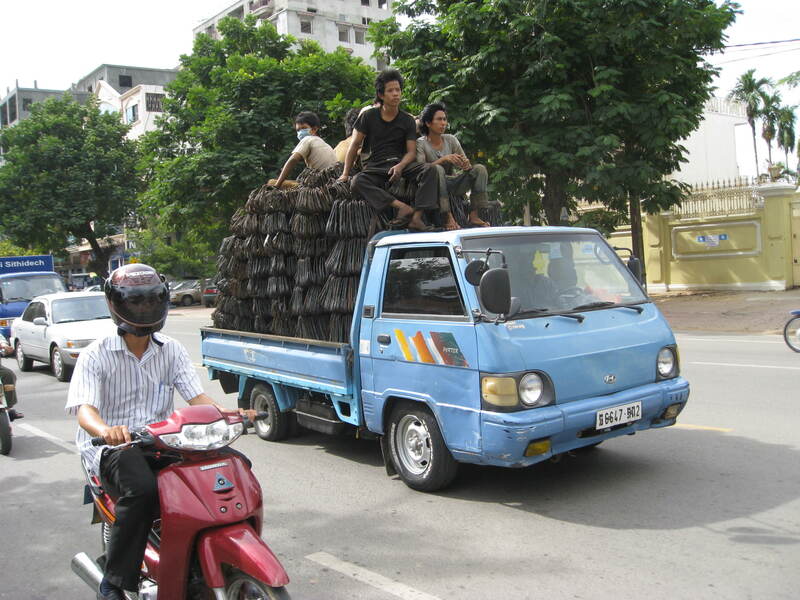 Resourcefulness: By necessity, Cambodian people have had to develop an extremely opportunistic and enterprising way of life. It is rare to see a resource go wasted, whether that resource is food, raw material, machine, or manpower. Tradition: Despite the difficult modern history of Cambodia, including national devastation by the Khmer Rouge regime, Cambodia has maintained strong cultural traditions. Out in the countryside you can find communities living in the same manner in which they lived before the dawn of motorized transportation, electronics, and other modern comforts. Even in the urban centers, many people still live in close accordance to Buddhist, Muslim or other traditional principles. 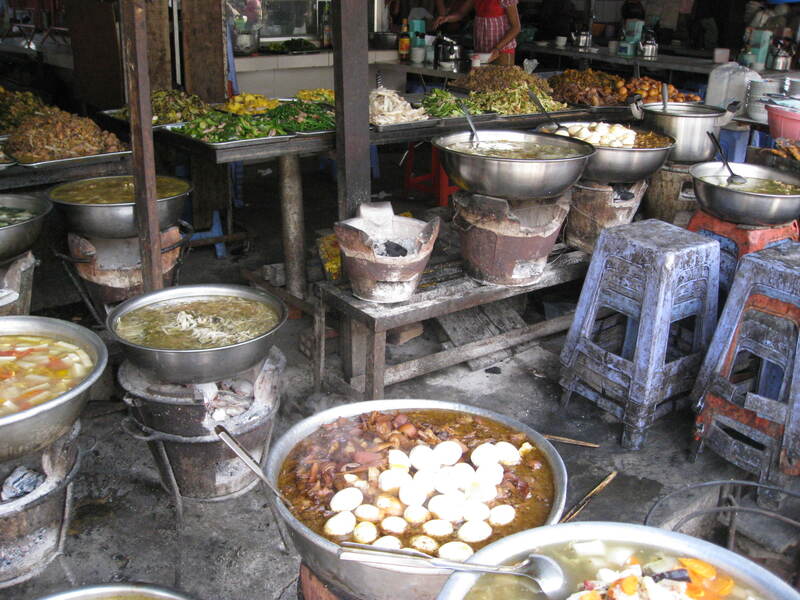 Cuisine: An often overlooked aspect of Cambodia is the delicious Khmer cuisine. Cambodian dishes require natural ingredients and items from the surrounding landscape, and often incorporate animal parts or creatures often overlooked by Western culture. If you can overcome your preconceptions, you can enjoy the cuisine like the Khmer people do. History: There is no more obvious way to illustrate the spectacular history of Cambodia, than with one of the many magnificent temples at Angkor. The complex of ancient temples at Angkor Wat is the kind of place that you have to visit to fully appreciate, but the grandeur of the temples is clear in any picture, nonetheless. 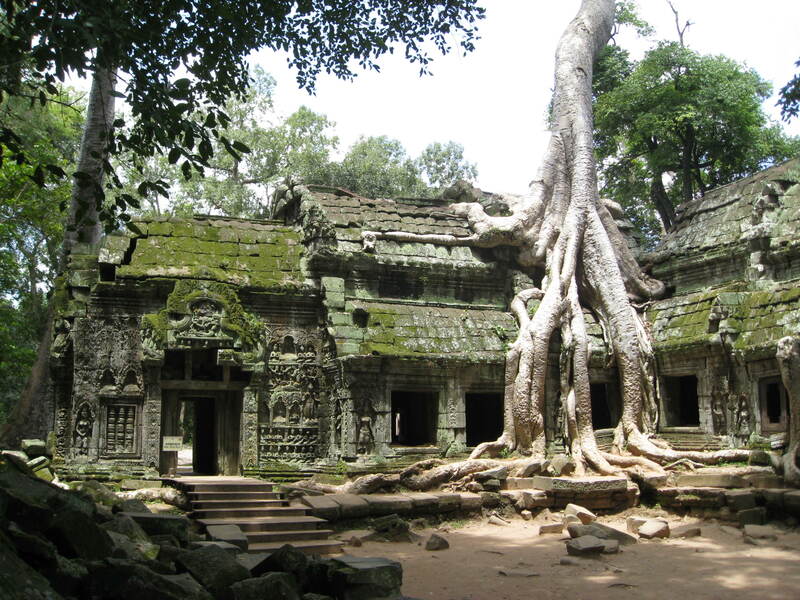 Sometimes life here feels surreal to me, as if I am on the set of a movie (the temple of Ta Prohm near Angkor Wat was, in fact, a set location for the first Tomb Raider movie). Often, It’s not until I skim through my photographs that I realize how uniquely beautiful are the people and their country. Entry filed under: Cambodia, Hattha Kaksekar Limited, KF5 (Kiva Fellows 5th Class). Tags: Omeed Selbe. You got a great shot of the Ta Prohm tree. Usually that’s a difficult one to take. Nice job !!! Love the variety of the pictures/all the descriptions. Makes me want to go back there soon…..
What wonderful photos. Thank you so very much for sharing. I am so curious about what would be carried in all those tiny pots. And the array of food there is amazing. Thanks again.